Hello there and happy Wednesday to you all! 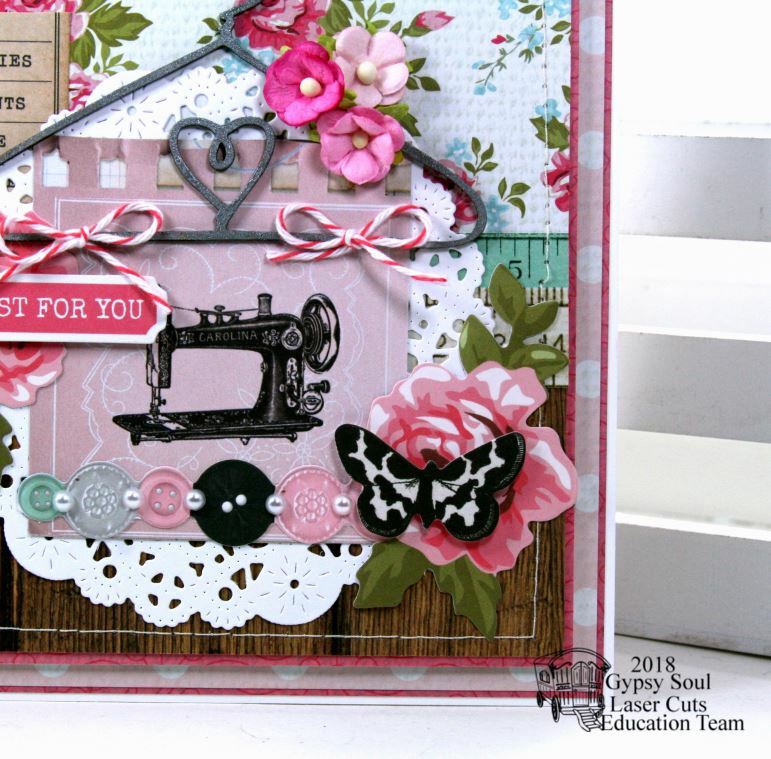 I’m dropping in to share a vintagy inspired sewing themed card. 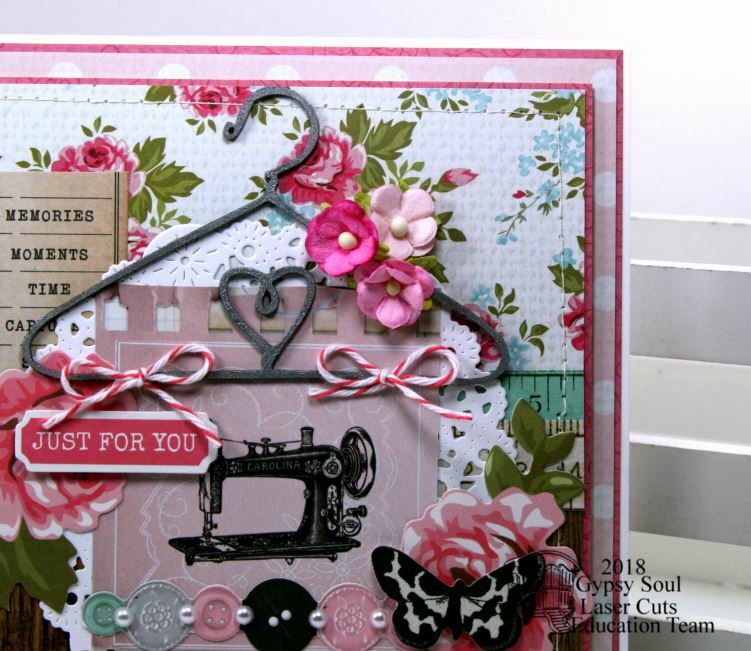 The inspiration for this card was the super charming Faux Wire Hanger chippie from GSL. 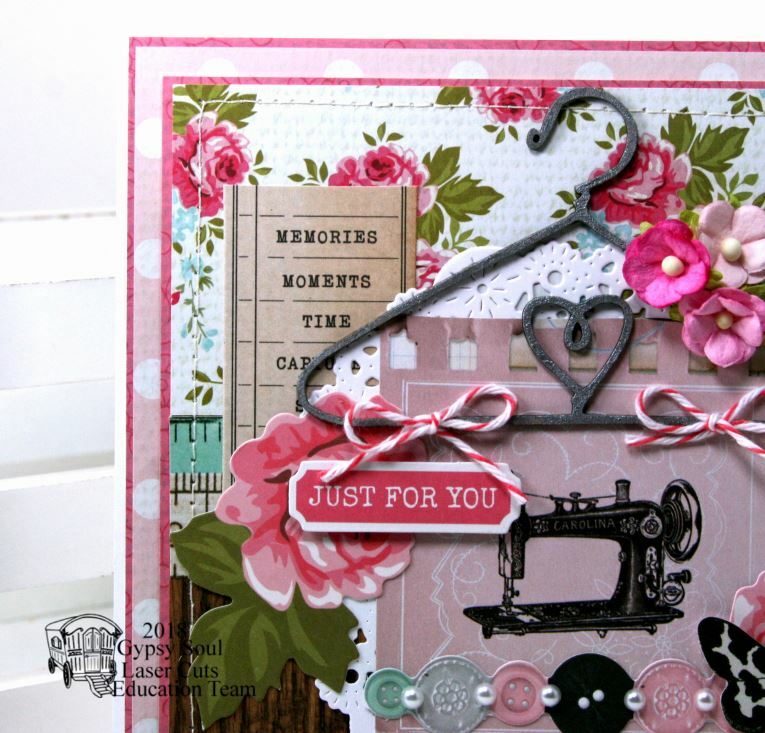 Isn’t that hanger a great way to bring the sewing look together with the sewing machine image? The little heart is so sweet : ) It really adds to the country inspired paper collection. To ensure that I had room for the hanger and the image I overlapped them by quite a bit. To make it look like it was hanging from the chippie I added tiny twine bows on top. Just an itty bitty collection of coordinated flowers to dress up the top of the hanger. To work with the sewing theme I added a border of actual stitching with white thread…this also adds texture and draws the eye to the focal point. 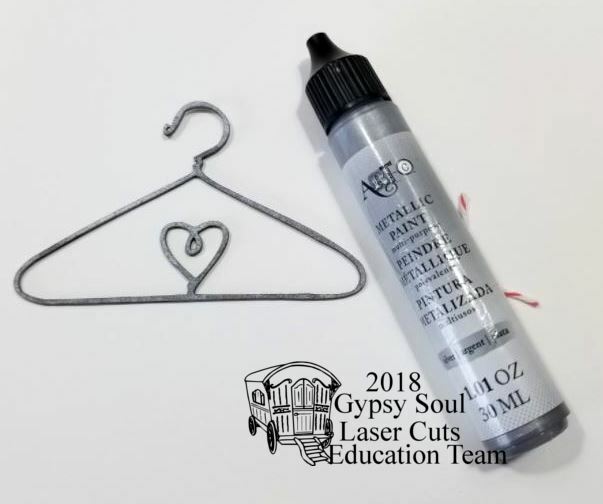 I really wanted this to look like a real old fashioned vintage wire hanger so I chose a metallic silver paint that is not toooo shiny and bright. 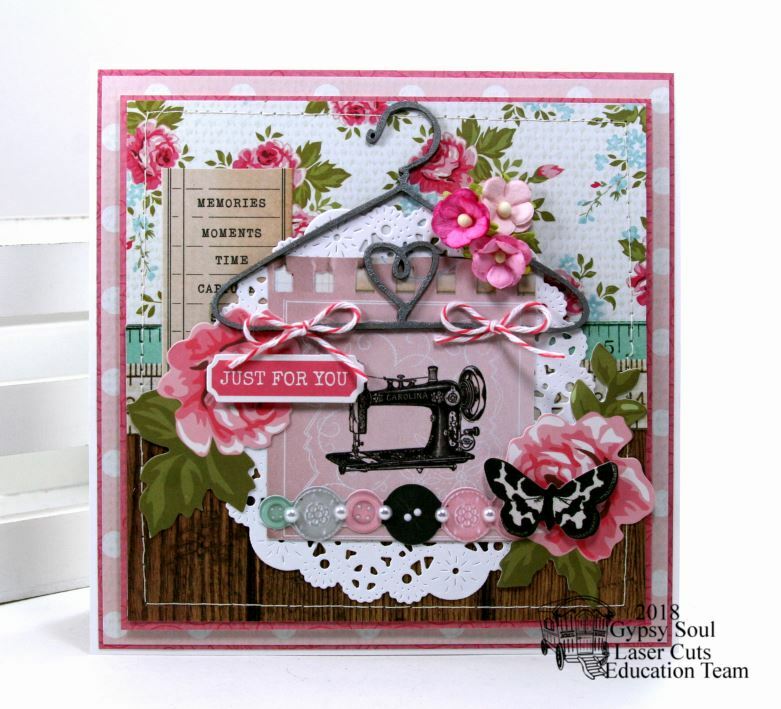 This worked really well to achieve an older look on this fragile embellishment. Nice card…lovely floral paper. Are those paper buttons? I think I would have added a few real buttons. 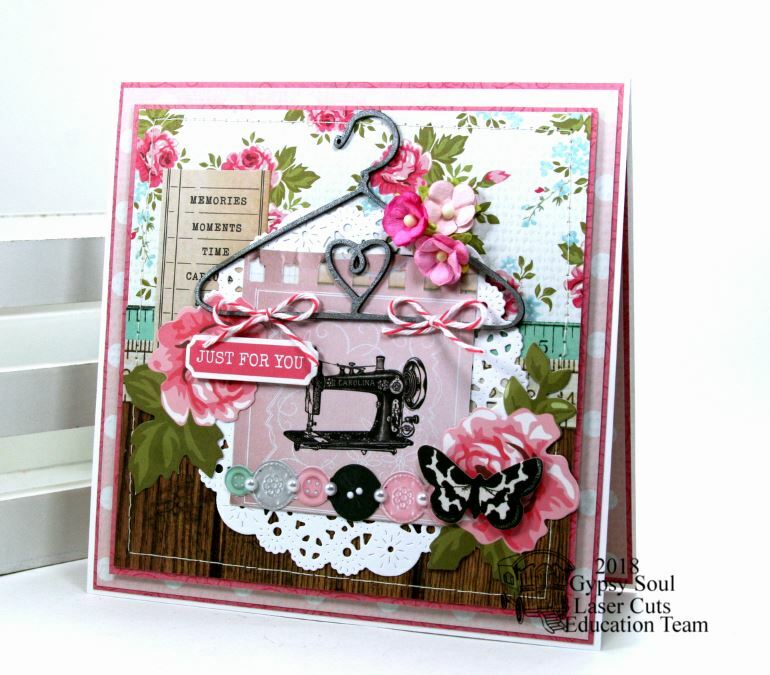 Love the machine stitching as a frame around the sewing machine image! Ginny, I just LOVE the sewing cards! I do sew, so this collection is dear to my heart! I can’t wait til it comes in the mail, thanks! Happy Easter!